After Hours Stamper: 2011 Winter CHA: Lots and lots of new product to drool over! 2011 Winter CHA: Lots and lots of new product to drool over! Hi everyone, sorry my post is a late, I did not have an internet connection this weekend and have been playing "ketchup" all week. 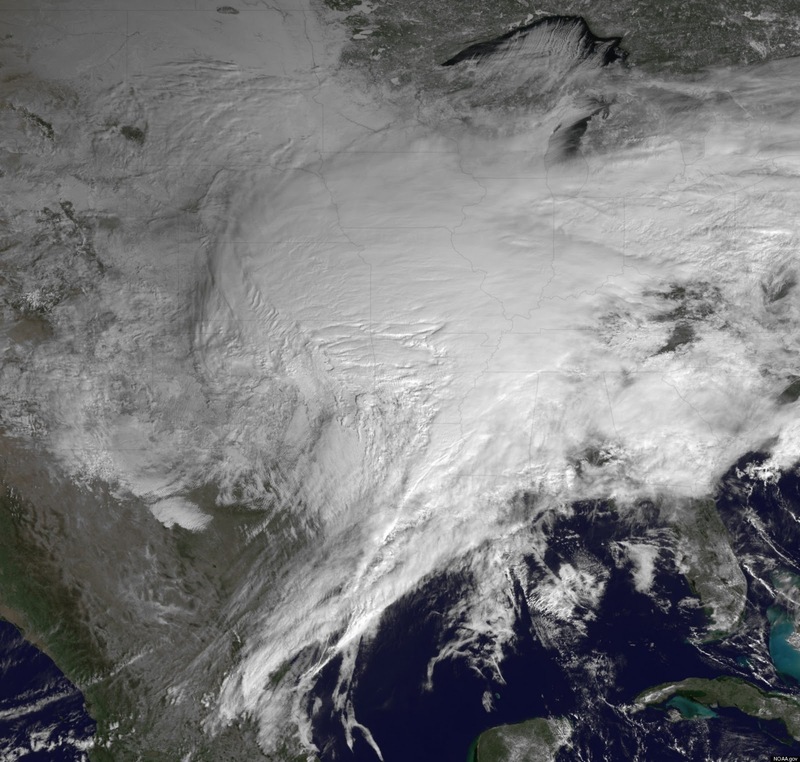 That picture goes from the East Coast all the way to almost CA, the storm was said to be more then 2,000 miles wide. I hope that if you are having to deal with the weather everything goes well for you. This week we get to review all of the releases, news, updates and stories from CHA : ) Lots and lots of new paper, stamps and tools for everyone! I have been reading tons of blogs reporting on CHA, thought I would list some of the ones I thought were most interesting, as well as links to new products, at the end of the links I have posted some cool videos as well! Plaid: LOVED this post, lots of pictures of the Plaid booth, really cool. Work in Progress: Lots of pictures from lots of different booths here. BlueMoon has additional videos on their blog, make sure to stop by for more CHA videos. Here is a link that has a number of other videos on new features for the Cricut Expression 2. How about a demo by Tim Holtz? Ok, that is it for today, again, sorry that the post ended up being so late this week! Take care and have a wonderful day.